What Trees Are Safe to Plant Near a Drain Field? Few trees are safe to plant near septic system drain fields, also called “leach fields.” A drain field is a system of below-ground pipes that connect to the septic tank and are usually buried to a depth of at least 6 inches. Deep- and vigorously rooting trees can damage the drain field pipes, especially trees like beeches, elms, red maples, willows, pines and oaks. Trees that have shallower and non-invasive root systems are the safest to plant near drain fields. 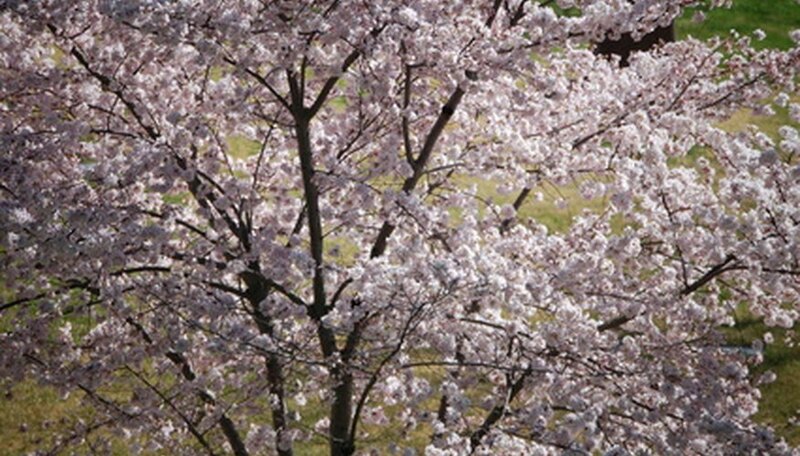 Growing up to 50 feet tall with a 40-foot spread, the flowering cherry tree (Prunus x yedoensis) has shallow, non-spreading roots that won’t harm your drain field. This delicate Japanese tree blooms in early spring in pink, fragrant flowers that appear before the leaves even start to grow. The blossoms are about ¾ of an inch wide, and the leaves are reddish when they first emerge, turning dark green in summer. 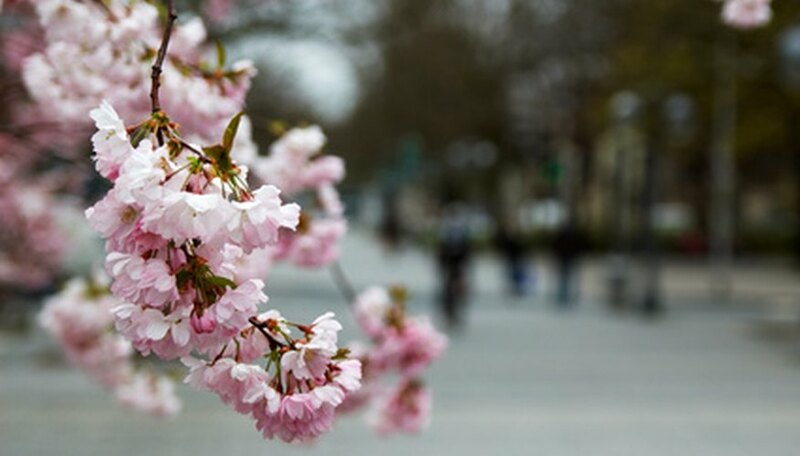 The flowering cherry tree is appropriate for USDA Hardiness Zones 5 through 8, where minimum winter temperatures are -15 to -10 degrees F. Plant the flowering cherry tree in full sunlight and in a spot that has moist but well-draining soil. Crabapple trees, like the Sargent crabapple (Malus sargentii), grow only 6 to 10 feet tall and wide. Crabapples grow best in Zones 4 through 8, tolerating winter temperatures down to -25 degrees F. This compact crabapple tree blooms in spring, first producing pink buds that bloom into fragrant white flowers that are about ¾ of an inch wide, followed by bright red berry-like fruits that grow in clusters and stay on the branches through winter. 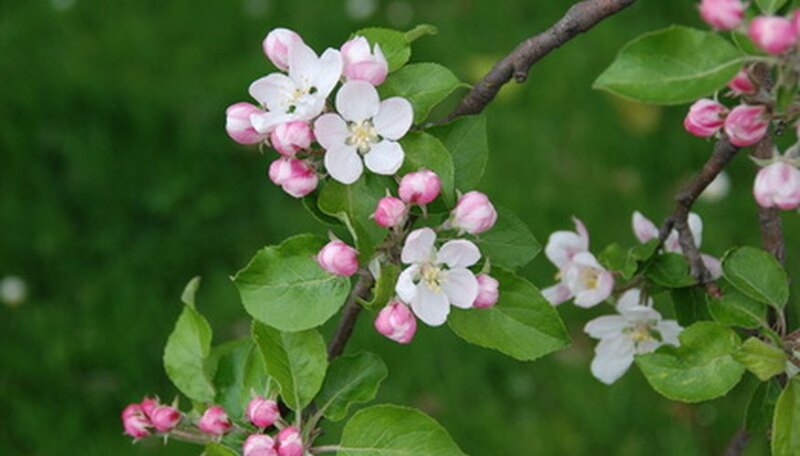 Plant the Sargent crabapple tree in a sunny spot that has moist, well-draining soil. Also a smaller ornamental tree with non-invasive roots, the sourwood (Oxydendrum arboretum) grows up to 30 feet tall with a 20-foot spread. Best for landscapes in USDA Zones 5 through 9, the sourwood tree blooms in fragrant white flowers in early summer, which are 4 to 10 inches long and wide. The oblong or elliptical leaves are 4 to 8 inches long and turn from dark green in summer to yellow, bright red and purplish in autumn. Plant the sourwood tree in a sunny location and in a wide range of soil types. The crape myrtle tree (Lagerstroemia indica) grows to only 20 feet tall and 15 feet wide on average with a vase-like canopy. 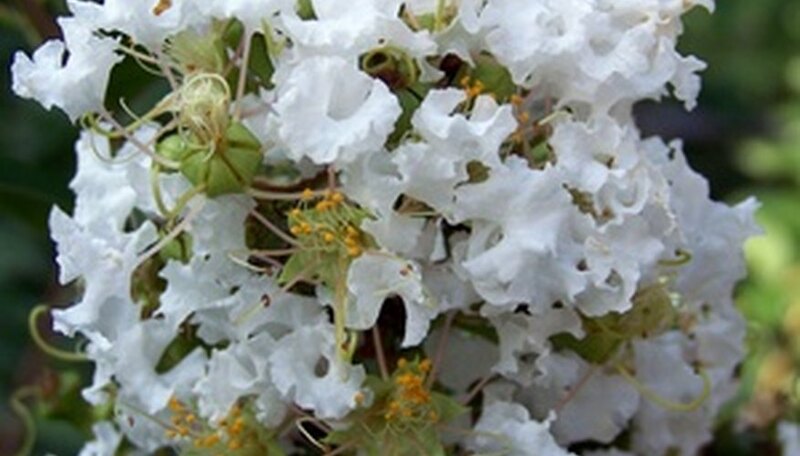 This smaller flowering tree grows best in warmer climates, such as in USDA Hardiness Zones 7 through 9, where winter temperatures rarely dip down to 5 or 10 degrees F. The crape myrtle blooms in white, pink, lavender or deep red 6- to 8-inch-long flowers from late spring until fall. This tree thrives in full sunlight and moist but well-draining soil. Dogwood trees (Cornus spp.) are also appropriate trees to plant near drain fields, growing smaller in size and with non-spreading, shallow roots. Dogwoods grow to only 25 feet tall and wide at most, blooming with white, pink or reddish flowers in spring. Most dogwoods grow well in Zones 5 through 9, preferring full to partial sun exposure and growing in a wide range of soil types. The redosier dogwood (C. sericea) is actually a multiple-stemmed shrub that’s much hardier than other dogwoods, growing in Zones 2 through 7 and tolerating winter temperatures down to -45 degrees F.